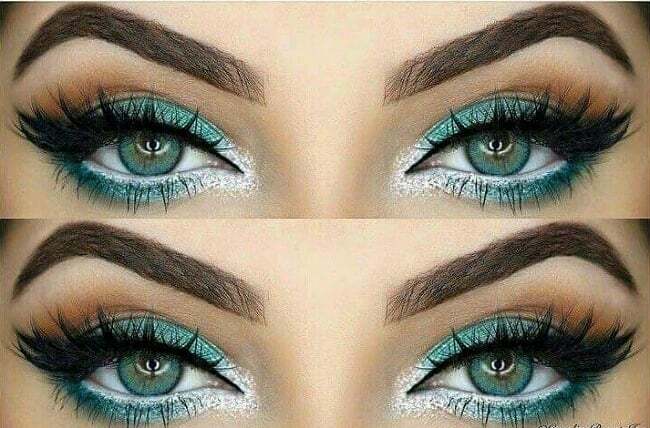 Teal eye makeup is as scenic as it sounds! The color teal always reminds us of the ocean and gives off a royal yet refreshing feeling. This color has its own way of giving you a classy vibe. It looks good on almost every occasion and can suit various types of dresses. 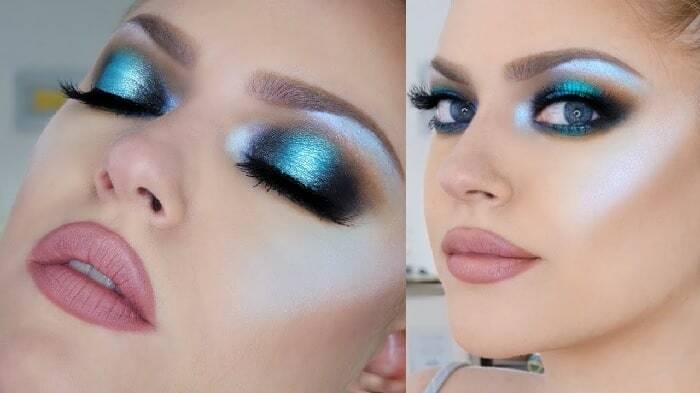 Here are a few cool idea and tricks on how you can rock the teal eyeshadow looks on your eyes. We have shortlisted 7 of the most vibrant teal eye makeup looks for women to copy this year. The combination of gold and teal eye makeup will help you achieve a peacock feather look. Ideal for: This look is ideal for weddings or an engagement party. How to: Start off with the primer. Then apply gold eyeshadow to the inner half of your eyelid. Then apply the teal eyeshadow from the outer corner of your eye and work it to the golden part. Blend well. This mixture of white and teal eyeshadow look will give off a fresh vibe. Ideal for: This is the best look for prom and school dances. How to: Start with the light amount of primer. Then apply brown eyeshade on your eyebrow bone. Then apply the teal eyeshadow on your eyelid and the waterline. Blend well. To finish, apply a bit of shimmery white eyeshadow on the inner corner of your eye. The makeup combination of blue and teal eyeshadow will keep reminding you of the deep ocean. Ideal for: This look is the ultimate look for a rooftop midnight party or a wedding. How to: Prime your eyes, then applies brown eyeshadow on your brow bone. Then apply a bit of blue eyeshadow on your eyelid and blend well. Then apply a shimmery coat of teal n your waterline and finish off with the thick black eyeliner. The midnight teal eye makeup is a mysterious look with a classy vibe. Ideal for: This eye makeup look with black and gold eyeshadow is the best for when you’re off to the club with your buddies. How to: After the light layer of the primer, apply black eyeshadow to the inner and outer corner of your eyelids. Fill the middle part with teal eyeshadow and blend well. This minimalistic eye makeup with teal eyeshadow will add elegance and extra beauty to your outfit. Ideal for: The perfect look for brunch or a shopping trip. How to: Start with the lightest layer of the primer. Apply a small amount of teal on your eyelids. Finish off with winged eyeliner. 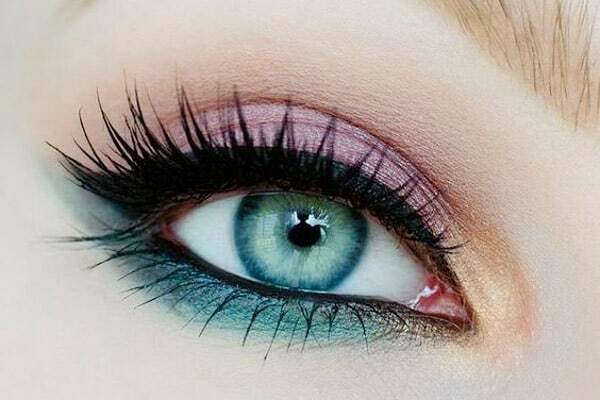 The pink and teal eye makeup for blue eyes will give you a soft and elegant look. Ideal for: This soft look is ideal for a baby shower, tea party or a birthday. How to: Apply a minimal amount of pink on your eyelid after you are done with the primer. Blend well. Then apply a soft shade of teal on your waterline and blend. Finish off with the eyeliner. 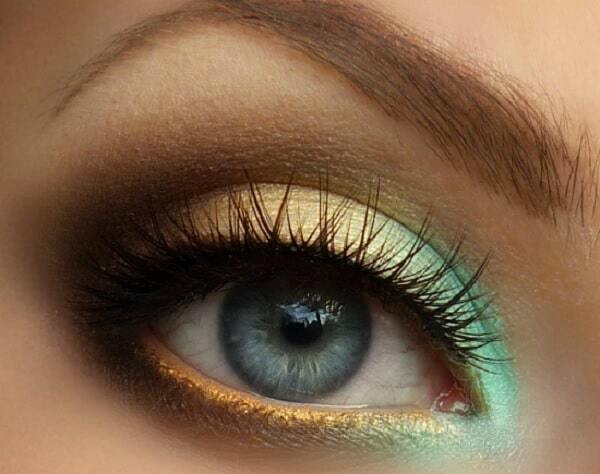 This teal eye makeup will surely get those heads turning. Ideal for: The perfect look for Coachella or a bohemian themed party. How to: After the primer, blend a few gorgeous shades of brown on your eyelid. Apply a thin layer of teal eyeshadow on your waterline. Complete the look with winged eyeliner. With all these amazing ideas and tips, you can now sport the teal eye makeup anywhere you want.